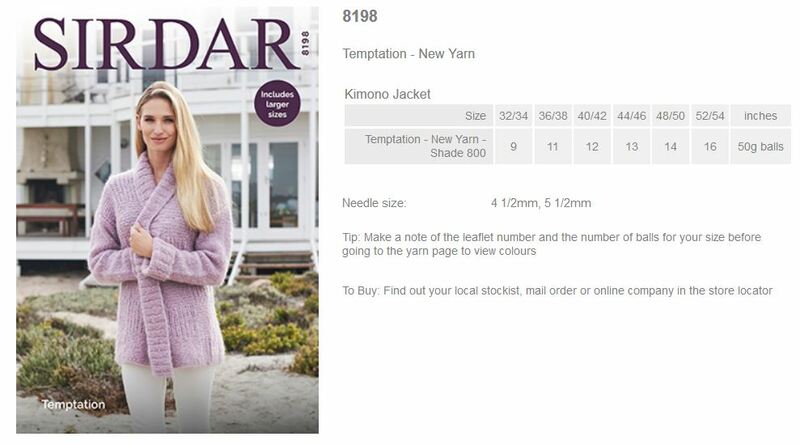 Yarn Type A chunky tension and has a soft-brushed effect rather than the fluffy finish you might expect from a mohair, giving you excellent stitch definition when knitted. 70% Acrylic, 30% Mohair. 40 Deg Wool Cycle, machine washable. 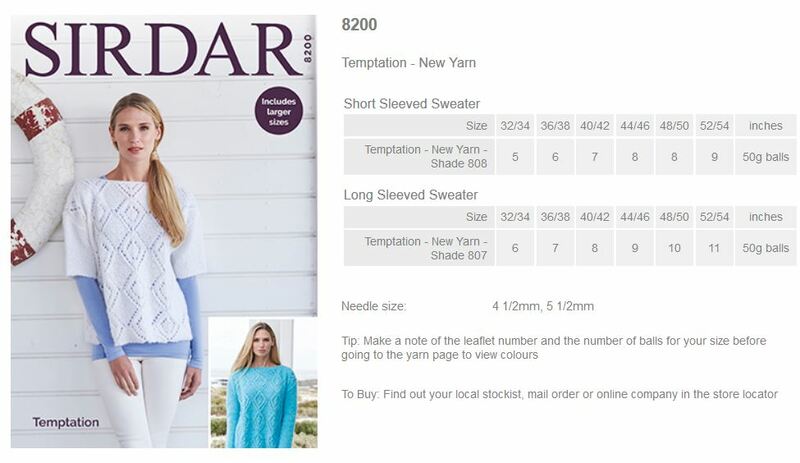 Leaflet with designs for Short and Long Sleeved Sweaters using Temptation. 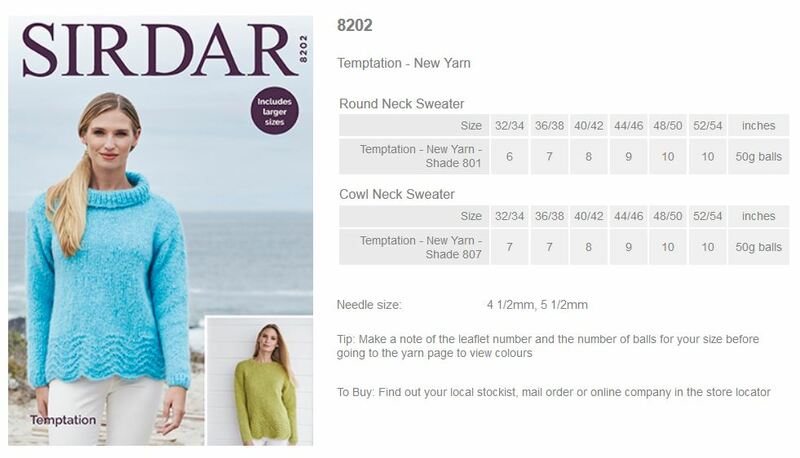 Leaflet with designs for Round and Cowl Neck Sweaters using Temptation. 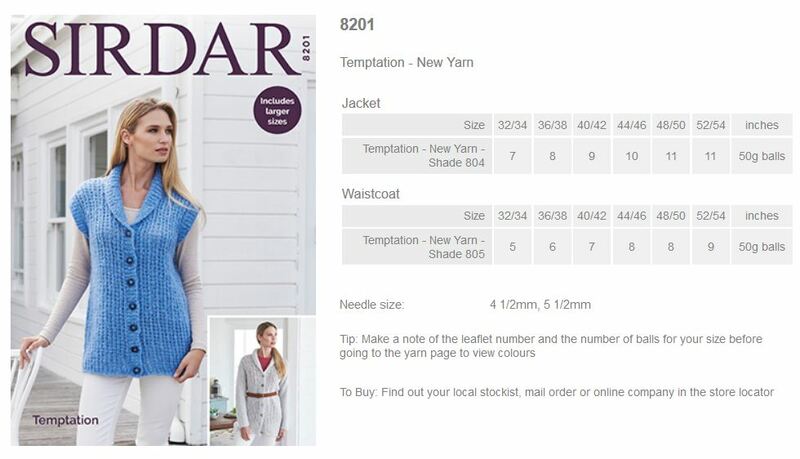 Leaflet with designs for a Jacket and Waistcoat using Temptation. 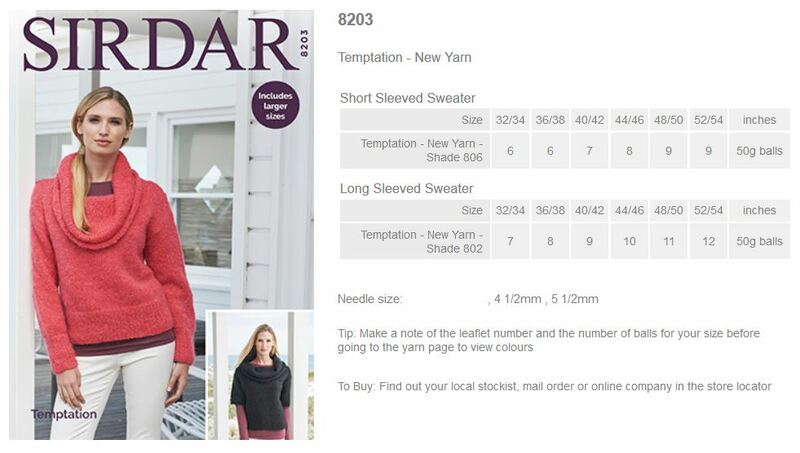 Leaflet with designs for Long and Short Sleeved Sweaters using Temptation. 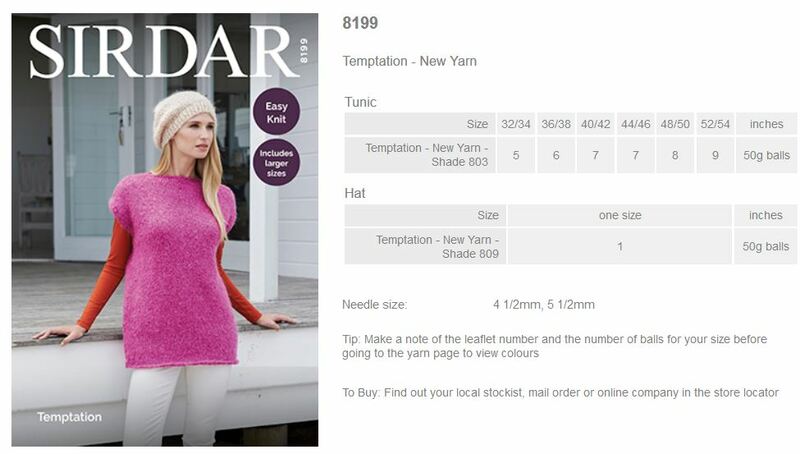 Leaflet with designs for a Tunic and Hat using Temptation. Leaflet with designs for a Kimono Jacket using Temptation. 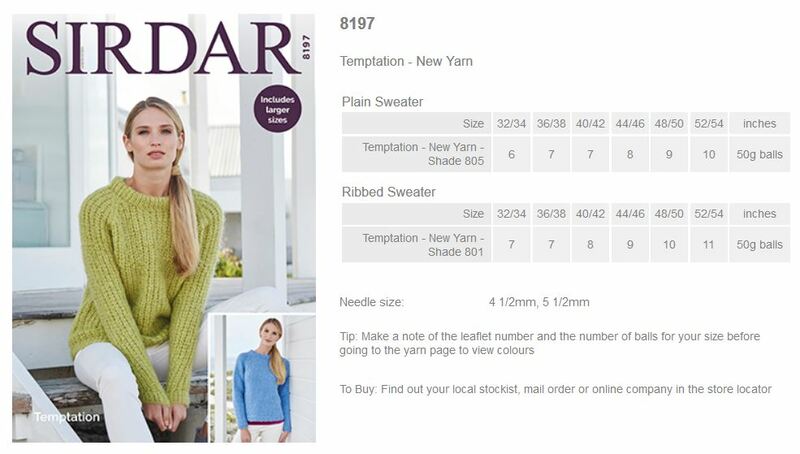 Leaflet with designs for Plain and Ribbed Sweaters using Temptation. 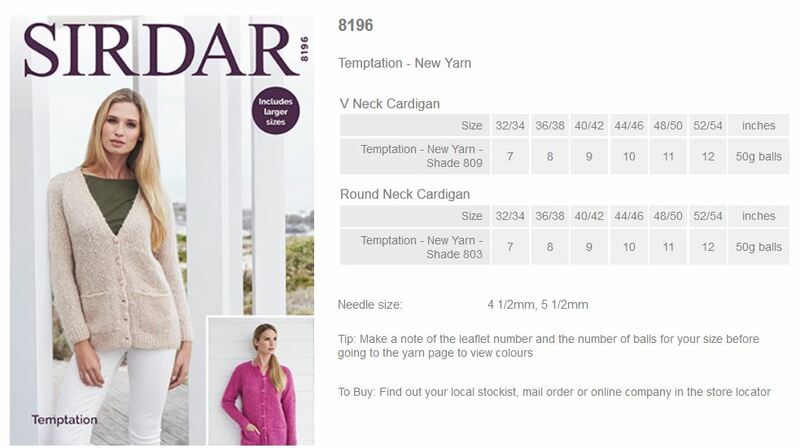 Leaflet with designs for Round and V Neck Cardigans using Temptation. 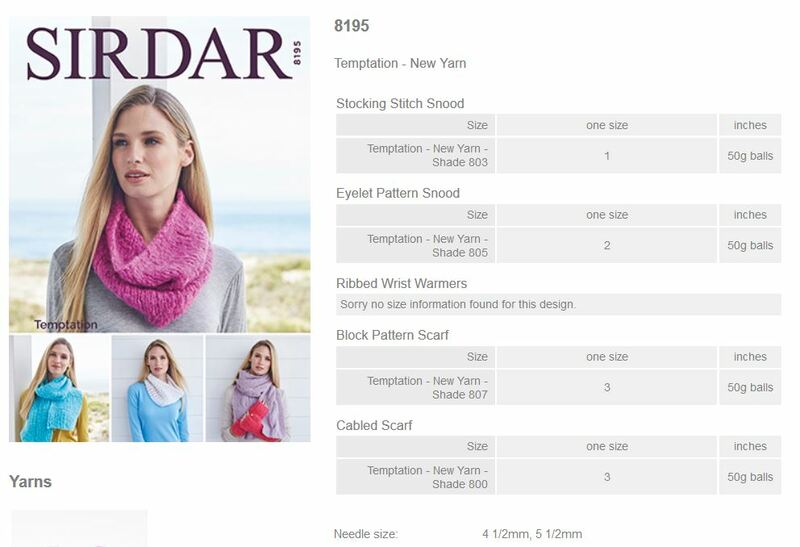 Leaflet with designs for Snoods, Wrist warmers, and scarves using Temptation. 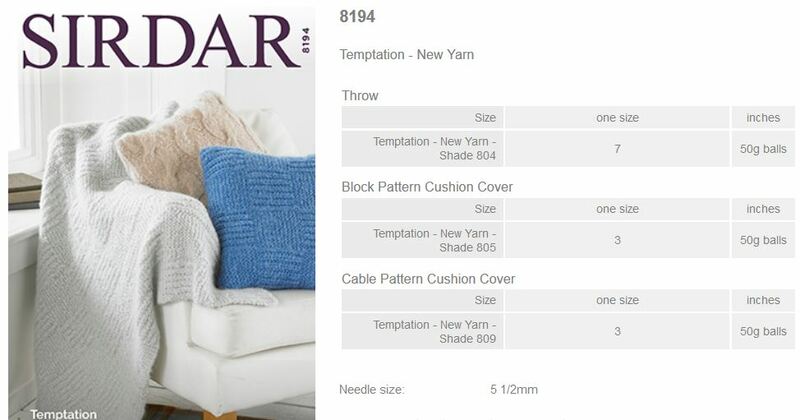 Leaflet with designs for a Throw and Cushion Covers using Temptation.